Watercolour Wednesday — Water Bottle on Knee. ← Watercolour Wednesday — Shadows. 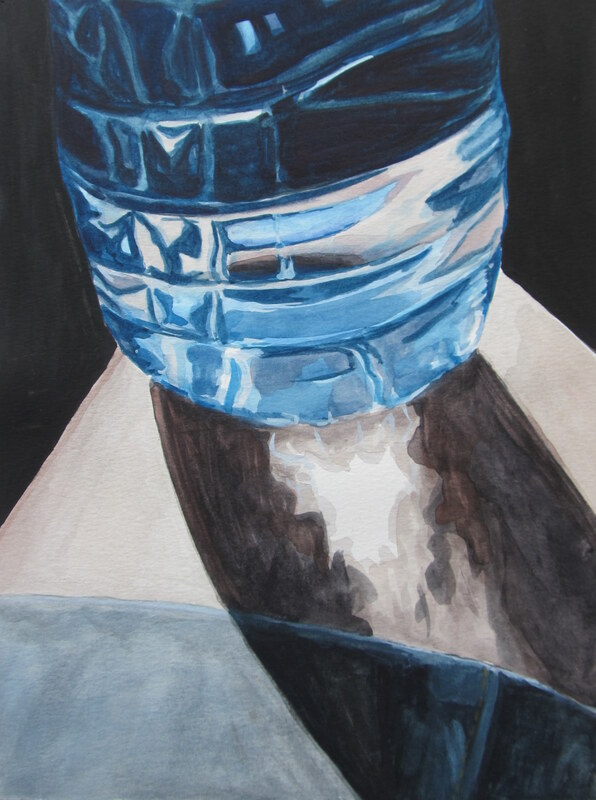 I love your paintings of transparent bottles and glasses with water and the reflections and shadows. Maybe you could to a post sometime on how to do that? It’s the simplifying, or selecting that I find so difficult.